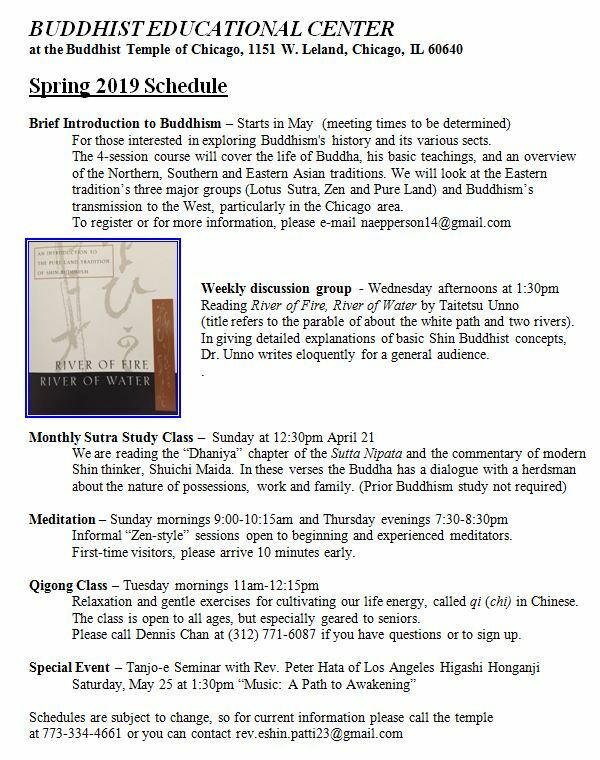 BTC is a diverse Buddhist temple in the historic Uptown neighborhood of Chicago. Visit on Sundays at 11 am for weekly English service (guide for newcomers here), explore our educational classes, meditate on Thursdays & Sundays, and drop in on our many cultural offerings and events. Check the Calendar for regularly scheduled classes and our Facebook page for recent updates. Everyone is welcome. Directions and parking info are at the bottom of the page. NEW Legacy Pages. Honor your family’s history with the temple with the new pages designed to celebrate our 75th Anniversary. Sign up/renew your membership or donate now! October 8 – 75th Anniversary! Rev. Patti Nakai on the altar. The Dharma School kids decorate the temple bulletin board. Temple members take turns ringing the bell 108 times on New Year’s Day. Three temple members relax after setting up the altar for a special service. Rev. Patti Nakai dances for Bon Odori. The six-sided temple is based on Rokkakudo temple in Kyoto, Japan. The Buddhist Temple of Chicago on Leland and Racine. Rev. Ashikaga, Minister Emertitus, rings the bell. Hand-carved wooden birds for sale at the summer festival. A statue of Shinran Shonin in the hondo.